朱强, 胡召齐, 施珂, 吴礼彬, 江来利. 安徽滁州地区闪长质岩锆石U-Pb年龄与地球化学:岩石成因和动力学意义[J]. 地质通报, 2018, 37(6): 1101-1112. 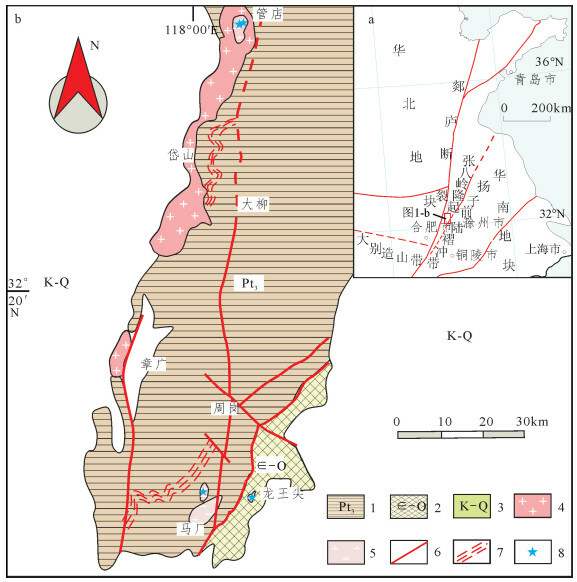 Zhu Q, Hu Z Q, Shi K, Wu L B, Jiang L L. Zircon U-Pb age and geochemistry of the dioritic rocks in Chuzhou area in Anhui Province: Petrogenesis and dynamics significance[J]. Geological Bulletin of China, 2018, 37(6): 1101-1112. 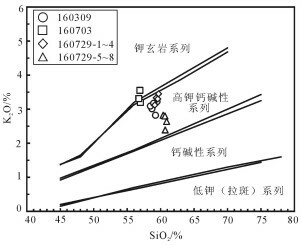 Abstract: LA-ICP-MS zircon 206Pb/238U ages of two diorite porphyrite samples from Chuzhou area of Anhui Province are 126.19±0.44Ma and 126.4±0.7Ma, respectively. 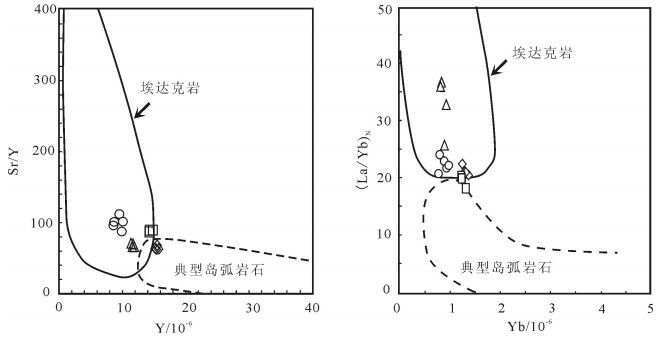 Previous study shows that the emplacement age of dioritic rocks should be 120~130Ma, sug-gesting early Cretaceous. 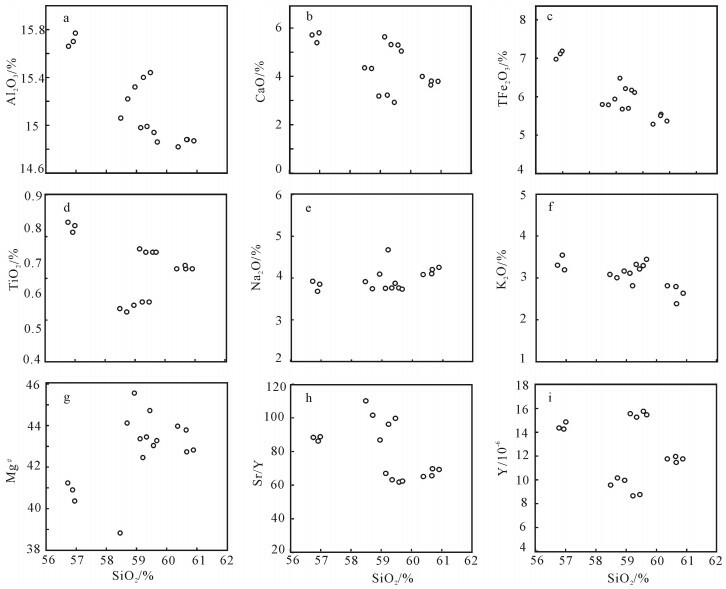 Geochemical study shows the values of SiO2 vary from 56.75% to 60.90%, with the characteristics of high Al2O3(14.82%~15.77%), MgO(>4%), Sr(>750×10-6), Sr/Y(62~110), and La/Yb(20~36) but low Y, Yb, LREE as well as enrichment of LREE and LILE but depletion of HREE, with indistinct Eu anomaly, indicating typical adakitic rocks. 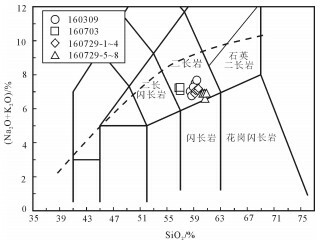 Mg# values range from 39 to 45, K2O/Na2O vary from 0.57 to 0.96, 0.75 on average, significantly lower than the values of the adakitic rocks in the thickened crustal of Dabie orogenic belt; Ce/Pb ratios are low, mostly concentrated in the range of 3~5, similar to the values of the continental crust but significantly lower than those of the oceanic crust. 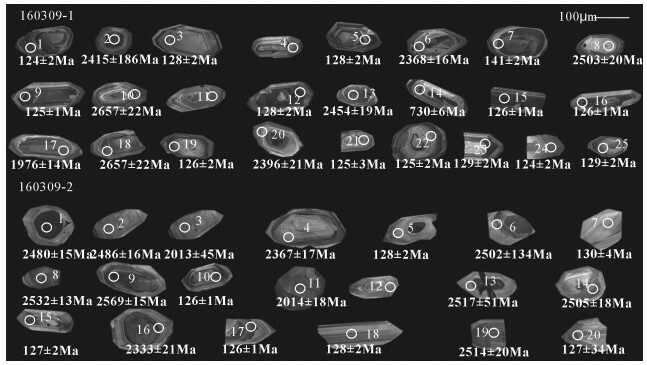 The authors hold that the adakitic rocks in Chuzhou area of Anhui was formed by partial melting of delaminated lower crust, and the reaction of upward migrating adakitic magmas and mantle peridotite led to the increase of MgO, Cr and Ni melt content. 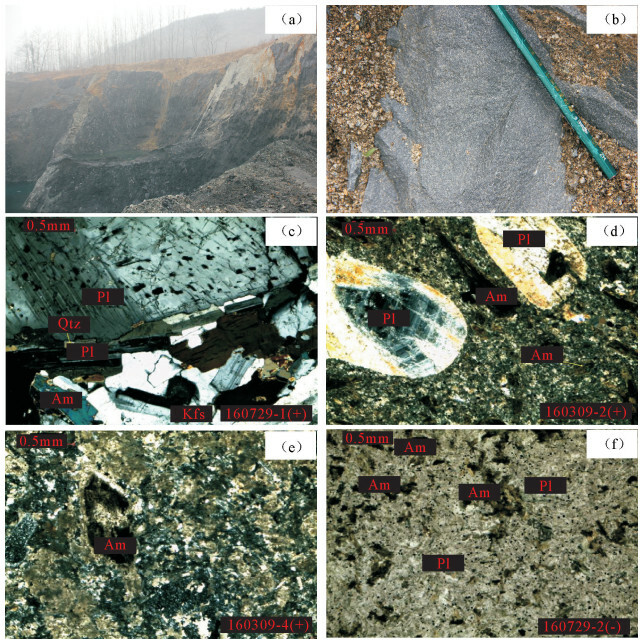 In Early Cretaceous, eastern China crustal extension thinning resulted in lower crust delamination, and mantle material was involved in bringing Cu, Au and other ore-forming elements; hence adakitic rocks can be used as an important prospecting indicator in this area. 160309-2-15 9 323 359 0.90 0.0545 0.0039 0.0218 0.0004 187 174 127 2.